I am totally inspired by this quotes ,so its my strong believe that fashion is for everyone irrespective of own size,shape or age. 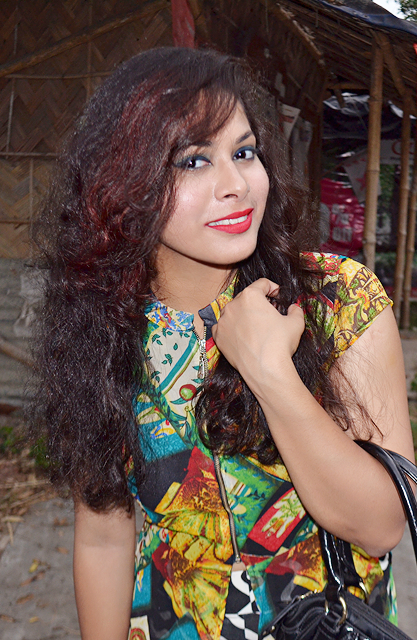 So , I am back with my yet another story .To be honest friends ,I am new in this field but I never thought of the consequences ,what keeps me motivating is my friends from the social world.I simply love to interact with you people and I find this is the best possible way to reach out the mass and let them know my tastes . So coming back to our topic today ,this time in the shoot I tried something different by stepping out of my comfort zone and simplicity and there is the place where the print game begun. This time I experimented with the full print concept and to accentuate it added a bold make up with the all new ‘Maybelline New York’ range . First coming back to my outfit , I tried this slit maxi top which has a front half zipper opening and half sleeves .What makes this outfit more interesting is its abstract design with the splash of vibrant dark colours which would be perfect for your evening engagements . 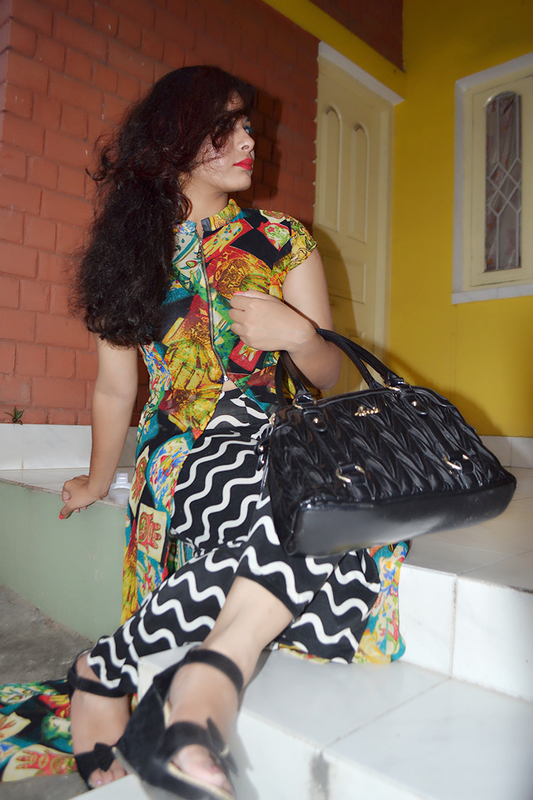 I coordinated the maxi top with yet another print pattern that is the zig zag palazzo which I accidently found in my wardrobe. The black and white combination of the palazzo makes the top more vibrant adding a balance in the print theory without going out of the box . 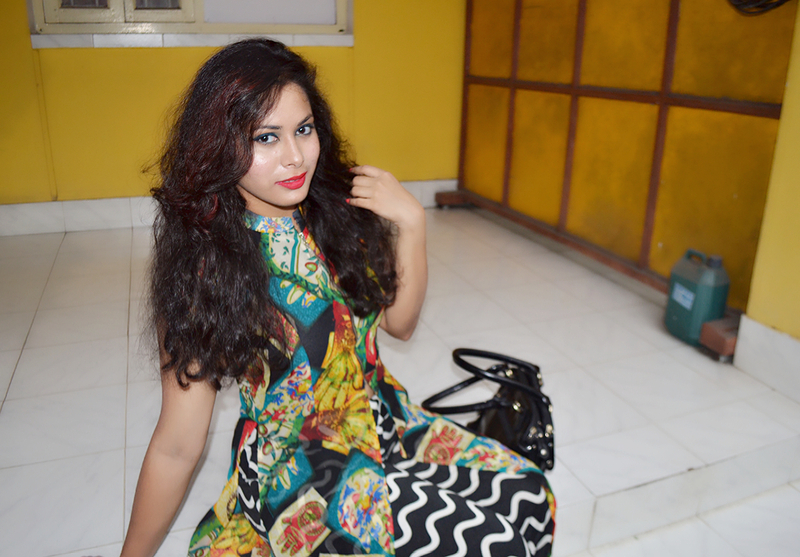 Coming to my makeup , I am not really a makeup person and will always do with a stroke of kajal and lip gloss but this time for play with the print game ,I tried a retro finish trying the all new lip gradation range of Maybelline . I have drawn my lips mixing the Orange 1 and Pink 1 of Lip gradation range . 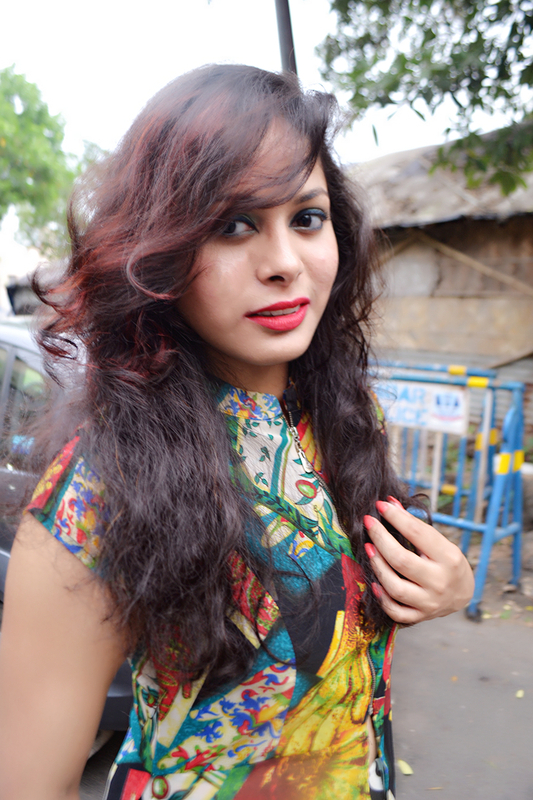 slit maxi top -city center,kolkata . 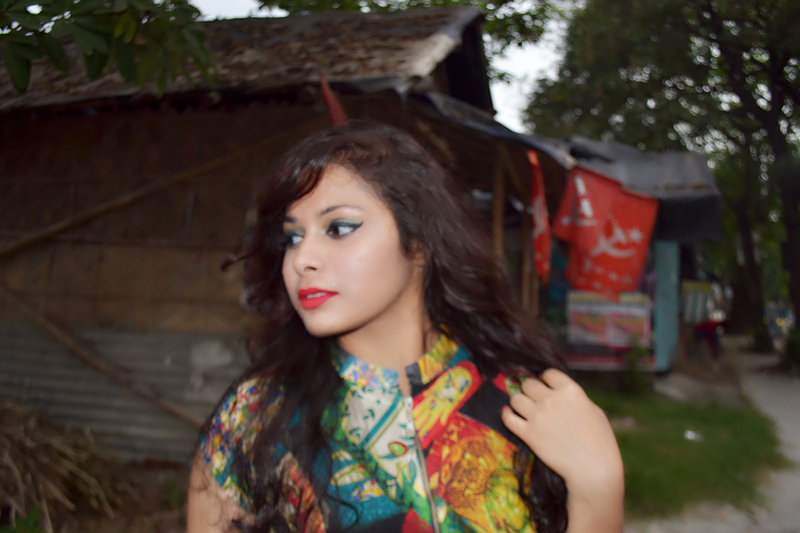 I hope you guys enjoyed this post ,then please do subscribe to my blog clicking the follow button.